Home » Blog » New Welcome Video for YouTube – Ugh! New Welcome Video for YouTube – Ugh! 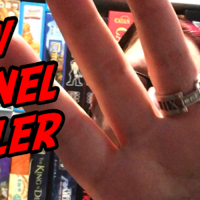 Well dear friends, if you know me at all you will know that being in front of the camera is not the place I feel most comfortable, BUT all the YouTube “How to make a good channel trailer” stated you HAVE to be IN the trailer to make it personal, so that’s what I did. If you suffer from any sort of anxiety you will know how something that looks so terribly simple, probably wasn’t. Like a 54 second video taking hours to make lol. Anyway, here it is and I hope you think it’s better than that god awful one I used to have (which I leave below for posterity). Remember … Do good things! Be kind… and have an awesome day.